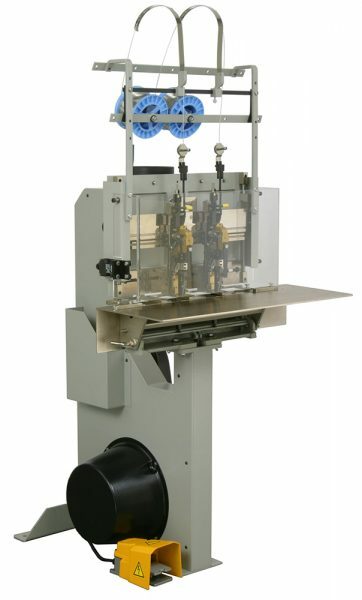 Pamphlets, checkbooks and ticket books are quickly and neatly stitched, using the M17 Multiple-Head Stitcher. A single adjustment sets the compression and wire draw on all of the heads simultaneously. The M17 accommodates up to ten 26D Heads or eight G8 Heads.